Spinphony is a bike installation that was built in collaboration with 72andSunny‘s Google team and their Made with Code initiative, with hopes of inspiring teenage girls to take an interest in coding. 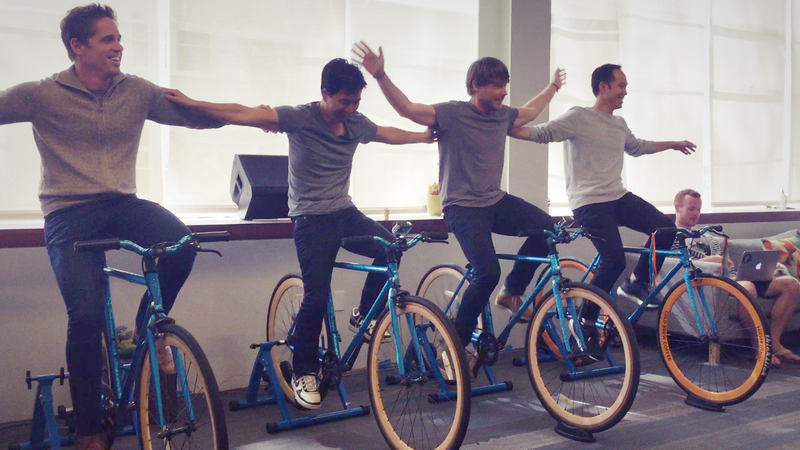 As its name would suggest, the project combines spinning (indoor cycling) and music with each bike representing a different instrument stem of a song. 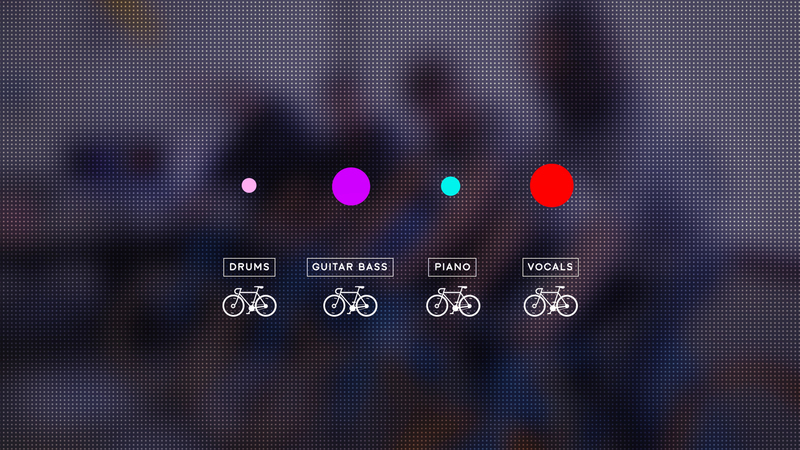 For instance, bike one controls drums, bike two might control bass and so on. The way we made it all come together was to have the volume of each stem depend on the speed at which the bike was being pedaled (i.e. the slower the RPM the quieter the stem of the song and vice versa). This is where Arduino came into play. The prototype is based on an Arduino Uno and uses two magnets, a reed switch, RPM values, and MIDI to produce some spincredible sounds. You can see it in action below!